NEW ORLEANS (AP) — The National Weather Service says at least nine tornadoes were formed during a two-day period of severe weather in eastern Texas and Louisiana. IRVING, Texas (AP) — Exxon Mobil's first-quarter profit fell by half to $2.35 billion as the company spent more on oil production and was hit by lower margins in its refinery business. FORT WORTH, Texas (AP) — American Airlines Group Inc. on Friday reported weaker than expected revenue and a dim outlook, and its shares slid in premarket trading. TEXAS CITY, Texas (AP) — Authorities say two police cadets in Texas were shot in the leg after a gun accidentally discharged in the middle of their law enforcement class. SEATTLE (AP) — Marco Gonzales showed what a steady, efficient and deliberate big league pitcher can do Thursday night, even without an overpowering fastball. AUSTIN, Texas (AP) — A federal judge has blocked enforcement of a Texas law that requires contractors to certify that they don't boycott Israel. SANTA BARBARA, Calif. (AP) — A pipeline company was fined nearly $3.35 million on Thursday for causing the worst California coastal spill in 25 years. EL PASO, Texas (AP) — A utility warehouse in West Texas has been converted to a shelter for immigrants. 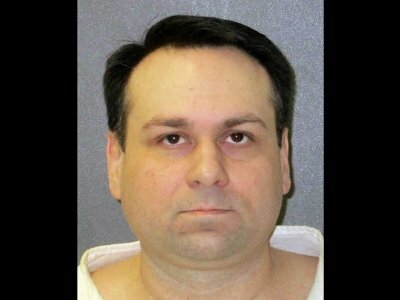 HUNTSVILLE, Texas (AP) — An avowed racist who orchestrated one of the most gruesome hate crimes in U.S. history was executed Wednesday in Texas for the dragging death of a black man. DALLAS (AP) — The Dallas City Council has expanded the powers of the independent panel that oversees city police and hears complaints about officer misconduct. OAKLAND, Calif. (AP) — With an impressive diving catch and the first game-ending hit of his career, Chad Pinder is making a strong case for more playing time. BOISE, Idaho (AP) — A Texas-based oil company that injected acid into a well as part of a process to improve production will pay Idaho $8,000 in civil penalties. BURNET, Texas (AP) — A Texas police officer is charged with murder for fatally shooting a man who ran over his foot. FRISCO, Texas (AP) — The Dallas Cowboys have picked up the fifth-year option on Ezekiel Elliott's rookie contract, keeping the star running back with the club at least through 2020. CORPUS CHRISTI, Texas (AP) — A docked replica of a Christopher Columbus ship that sank in 2017 days after Hurricane Harvey struck Texas has swamped again.